With someone behind the wheel to take control if something goes awry and a technician in the passenger seat to monitor the navigation system, seven test cars have driven 1,000 miles without human intervention and more than 140,000 miles with only occasional human control. One even drove itself down Lombard Street in San Francisco, one of the steepest and curviest streets in the nation. 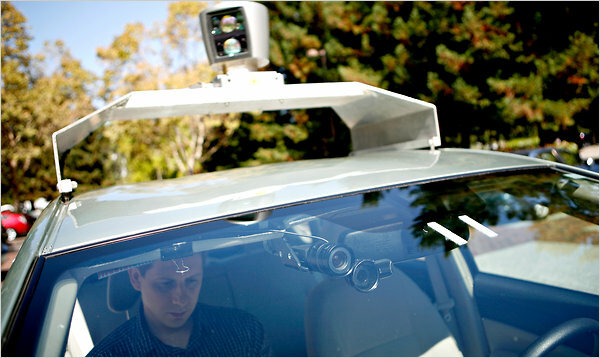 The only accident, engineers said, was when one Google car was rear-ended while stopped at a traffic light. I wonder who took the blame there? I wonder if the driver could argue with a judge that they did not have to take an online traffic school but the car computer should. I wonder if in the future your car will have to go to traffic school?